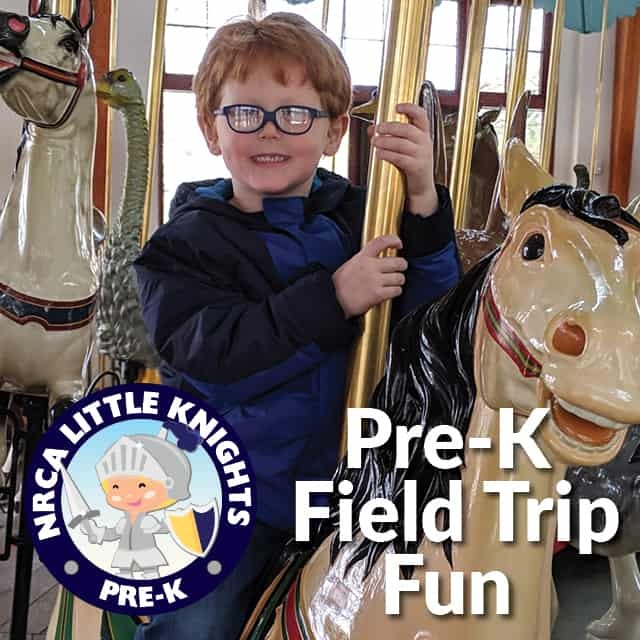 The NRCA Preschool class took a field trip on Friday, March 8, 2019, to the Farmer’s Market and then to Pullen Park. The children started the day off with a fun scavenger hunt in the farmer’s market. They were given a worksheet to fill out, and there were many things on it to find. “It was cold, but I had fun finding the funny items for the scavenger hunt,” said pre-k student Sophia. Each student had the help of their parents to find different items around the market. Some of the items on the worksheet included big items, little items, something smelly, something tasty, and something for mom. After that, the kids went to Pullen Park to fun rides and fun with their classmates. “I had fun riding the rides at Pullen park; my favorite ride was the Kitty Boat,” said pre-k student Caroline. All of the students learned about the different foods and items sold in the farmers market, and teachers and parents agreed that everyone had fun at Pullen Park.